Budding actors at The Sixth Form College, Solihull have been tackling the important issue of bullying through the medium of acting this week. 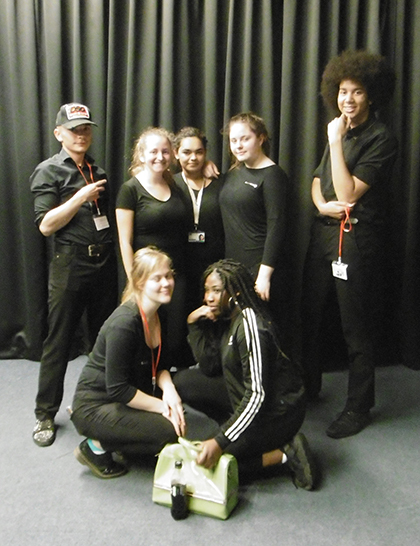 Students who are part of the Solihull Theatre in Education enrichment visited Lode Heath School to perform “Blackout” by Davey Anderson and conduct a workshop with their Year 9 pupils. “Blackout” tells the story of 15 year old Jay, who wakes up in a prison cell and can’t remember how he got there. It’s a hard-hitting play based on a true story about getting bullied, fighting back, doing something stupid, losing everything and then finding your way again.